The PDF Underlay tool allows you to insert a page of a PDF file into your drawing to use as a reference or tracing layer. To use properly as a tracing layer, the file must be a vector PDF, rather than a bit-mapped PDF. As a vector file, you will be able to snap to the endpoints and midpoints of lines in the PDF underlay. 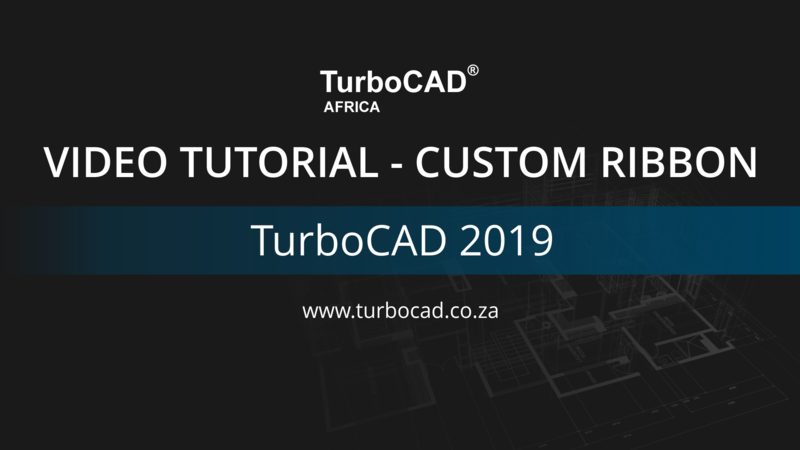 This feature is now available in All versions of TurboCAD. 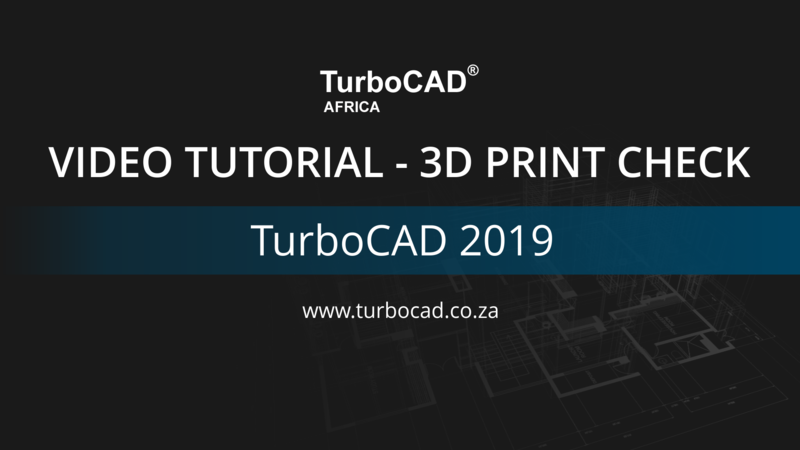 TurboCAD comes with a number of 3D primitives including Box, Rotated Box, Cone, Cylinder, Polygonal Prism, Sphere, Hemisphere, Torus, and Wedge. Users can now select flat 3D polylines or 3D curves for Surface Extrude tools such as Revolve. Also, 3D Curve and Curve (2D Curve) are now separate tools. Users can now select flat 3D polylines or 3D curves for Surface Extrude tools such as Revolve. Also, 3D Curve and Curve (2D Curve) are now separate tools. 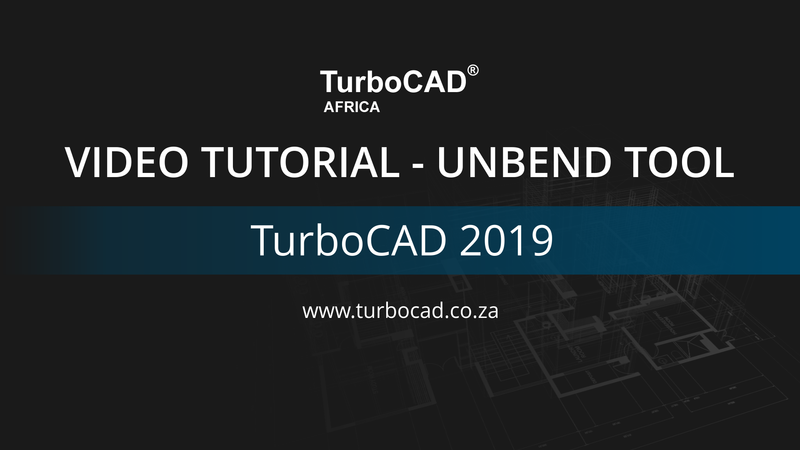 In the newer versions of TurboCAD Professional you have the function to switch to a 2D AutoCAD work alike mode. We often find that our experienced TurboCAD users have trouble​​ when this is switched on​​ when upgrading. Not to worry, switching to and from this mode is a simple setting. 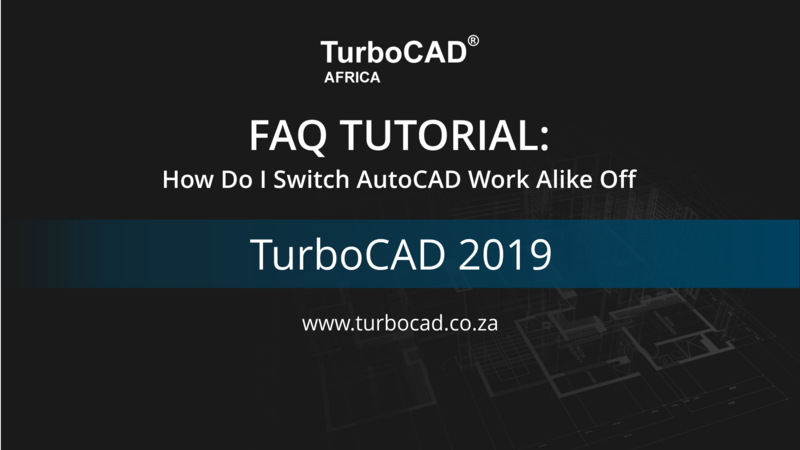 I will now explain​​ how to switch the AutoCAD work alike​​ mode off. Open any drawing or template in TurboCAD. Click on drop down menu “View” > “Toolbars”. Click on the “Options” at the top left of the “Customise” window that opens. Change the “Default style” by clicking on the drop down arrow next to “LTE workspace” under “Workspace”. Click on “Default workspace” to change the style to the normal TurboCAD mode. Now you can close all the pop up windows. To switch on the AutoCAD work alike mode, select LTE workspace in step 4. Click on “Options” in the Customise window that opens, then click on “Default”. Users now have the ability to fully customize the Ribbon Interface. You can now Add and Rename Tools, Groups, and Tabs. In addition, Tabs may be hidden or renamed, and manually created XML Config files can be directly imported into TurboCAD. UI Themes are also fully supported in the Ribbon. The tool also displays geometry information such as extents, number of facets/vertices, area, and volume. When saving an STL file, the user is given the option of performing a print check on the 3D model. 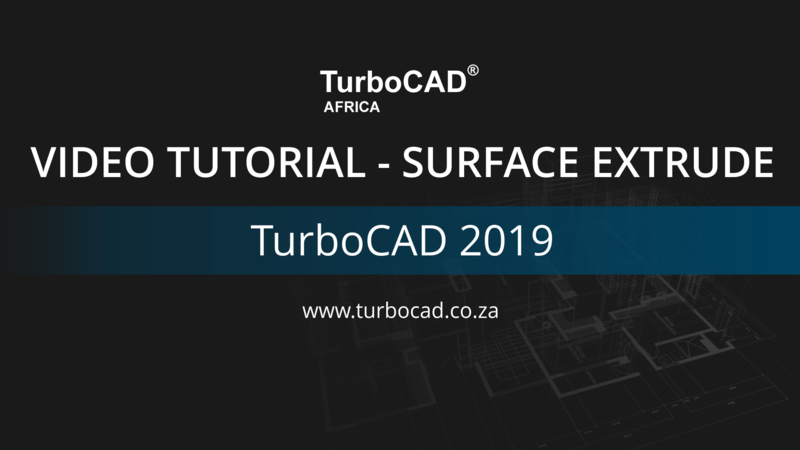 TurboCAD Africa prides itself in 3 main categories, Software, Training and Education. TurboCAD Professional has all the tools you need for 2D Drafting as well as 3D conceptual design. There are also some exciting and creative features available with our latest software. Easy rendering tools make this drawing suite a powerful assistant to your imagination.